I just received the following notice from Paul Ziliak that his firm, MicroAccounting Chicago has changed their name to xKZero. You’ll have to read down a little to see how they came up with the name (if you can’t stand the suspense then let’s just say it’s largely the partners’ initials plus ERO for Enterprise Resource Optimization). Paul’s active on LinkedIn and while his firm is not the same MicrAccounting that was merged into MIS Group, they did have some informal agreements that allowed them to share the name and some of the resources. Effective immediately MicroAccounting Solutions – Chicago begins doing business under a new name: xKZero. We are tremendously excited about the rebranding of our company and we expect that as friends and colleagues of ours you will see how the xKZero name reflects more clearly who we are. The most immediate impact of the name change is reaching us via email. Effective today please update all of your microaccounting.com (or misgroupusa.com) email addresses with xkzero.com email addresses. Our email address schema remains the same as before – first initial/lastname @xkzero.com, so Kathy Potter is now at kpotter@xkzero.com, Paul Ziliak is pziliak@xkzero.com and so on. Our main phone number remains 847.292.4466 and our address remains the same except for the name change: xKZero, 5600 N. River Road, Suite 800, Rosemont, Illinois 60018. Our website www.xkzero.com is under development by American Eagle of Park Ridge, Illinois. A temporary site is currently up pending final development. OUR GOAL IS TO HAVE RAVING FANS FOR CLIENTS! Why the name change? The services we provide moved far beyond accounting solutions long ago. Enterprise Resource Optimization is our real specialty (that’s the ‘ero’ part of the name. The partners in the company, Emre Karaca and Paul Ziliak provide the “KZ” and our clients provide the variable “x”. So there you have it – xKZero – We Solve for X.
xKZero provides Enterprise Resource Optimization services for organizations using Sage MAS 90, Sage MAS 200 and Sage MAS 500 throughout Chicago and the Midwest. With uncommon attention to detail and design, we provide the highest quality service in our industry. Our clients know our staff as the finest talent – creating with them refined and increasingly automated processes to meet manufacturing, distribution, service management, and financial information needs. Our target clients range from small businesses to some of the most recognizable mid-enterprise companies in the Midwest. Our name change marks the beginning of a new era for us. The vision, goals and bottom line improvement for all of our clients guide everything that we do. In the near future we will roll out new client programs and offerings that reflect this commitment to you. Please don’t hesitate to contact us with any questions. p.s. The microaccounting.com email addresses will still be received by us for a short time longer, but the misgroupusa.com emails will not reach us. If you’re a customer of the recently closed MIS Group you should contact Sage for additional assistance with support or any questions on your next steps for finding a consultant. Sage’s phone number is 866-996-7243. 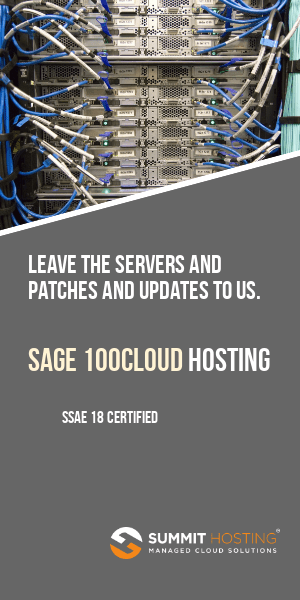 According to a report by Computer Reseller News Sage is offering 30 days of free support to any customer who did not already have a Sage support agreement. 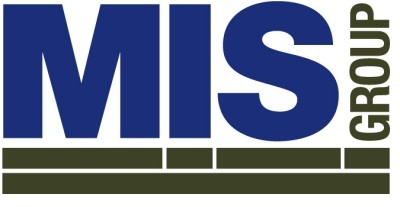 Over the July 4th holiday we received information that MIS Group was going to close on Monday. At first we thought that meant each of the management level employees would leave with their respective customers. Instead what happened is the MIS Group itself closed for good. The doors were locked and phones were placed on auto-attendant with a message that callers should contact Sage for assistance. The MIS Group was a big reseller. And they were well respected too. So far I have found nobody to tell me a bad thing about any of the people that work there – and that’s rare. The last estimates of their revenue that we’d seen was approximately $30 million. They had been twice awarded (2007 and 2008) Sage’s Business Partner of The Year. This means they sold the most product of anyone in the Sage NA channel. They were also number 6 on the Source Media VAR 100 with estimated 2007 revenues of $30 million. If They Sold So Much Software Then Why’d MIS Group Close Their Doors? Based on discussions with several different people it seems there had been ongoing issues with financing. This much was also confirmed on the company’s own web site when they closed July 6, 2009. At the recent IT Alliance conference in Atlanta the group was notably absent and rumors where openly swirling that there may be some type of cost cutbacks or financial issues. Some estimates place MIS Group’s share of the entire Timberline installed base at 40% (a number we’d happily update is someone had better information). If this number is accurate, then the firm had a large exposure to the declining construction market in the United States. To a large part it seems the demise of MIS Group was due in large part to the economy. Why Not Reorganize Under Bankruptcy? Good question and we don’t have the answer. Though we can speculate that one possible reason they did not choose to reorganize under bankruptcy may have had more to do with large debts owed to software and hardware vendors. Let’s just assume that a large debt was owed which a bankruptcy was able to erase. That debt erasure would not assure that a newly re-organized entity would be re-authorized for software or hardware products they formerly represented. Especially not if the vendors lost a great deal of money in a potential bankruptcy. So, again hypothetically, what could happen is that the parts (individual consultants) becomes greater than the whole (a potentially bankrupt entity that possibly has trouble becoming re-authorized for products they used to sell). Individual consultants (the real assets of any consulting firm) could take their existing “book of business” with them to a new consulting firm and start anew. An option that might not have existed for a reseller emerging from bankruptcy with a potentially bruised relationship with key suppliers. Sage is in the process of emailing impacted customers and promising that within 30 days they will have some options as to who they obtain as a business partner to manage their accounts. (Update: Read the statement Sage provided to us here). At Schulz Consulting we’ve reached out twice to Sage offering to help spread the word on what customers of MIS Group can do. If Sage takes us up on our offer we’ll have more to post on our site. If you’ve been in contact with a former MIS Group consultant then chances are good that you may form a new relationship with that person for support or ongoing consulting. We’ve heard that the consulting staff were invited to contact former clients of MIS Group so long as they do not mis-represent themselves as being from MIS Group. How Do You Prevent Signing Up With “Another MIS Group”? One question that we think will arise from the ashes of the MIS Group is how a company can prevent signing on with another reseller only to have them go away without notice. Short answer is that you can’t. What we think will evolve from the ruins of MIS Group is that bigger isn’t always better. Simply signing up with the biggest reseller has been demonstrated not to be a safeguard against that reseller unexpectedly going out of business. Place less emphasis on fancy offices, pretty brochures, extravagant user group meetings, etc. Will Sage Re-Assign All of MIS Group’s Customers To Another Consulting Firm? As of now nobody knows. We hope that MIS Group’s customers will be offered a fast response and the ability to select whatever consulting firm they would like. As we learn more we’ll update our web site. UPDATE: Sage has provided us an official statement on how they are managing the notification and assignment of MIS Group clients. You can read the full text of it here – including the email message that was sent to all known customers. Based on conversations within LinkedIn we expect within 30 days most of the customers will have been contacted (or have already arranged) to work with the same consultants that they had a relationship with at the former MIS Group. Many of these consultants appear to be in the process of either setting up their own consulting firms or joining already established organizations. Does This Mean Sage Or Their Products Are In Trouble, Not Selling Well, Etc? Not from what we’ve seen or heard. The closing of MIS Group seems to be a case of a company with heavy exposure to construction clients and what appears to have been a high overhead that drained their financial resources. We’re sure that in the coming days more information will come about regarding the firm. For now we see no indication that lack of demand for Sage products specifically played any role in this. A study by AMR actually ranks Sage at #3 world wide in terms of revenues – while Microsoft trails farther behind in #7 place. Outgrown MAS 90, but Microsoft can’t really say why. Below is a review from Paul Ziliak of the Microsoft Web Seminar titled “Outgrowing MAS 90/200 and What to Do About It”. Paul is a Sage Business Partner and has agreed to allow us to re-post his review of the above seminar. Obviously neither Paul or myself are independent with respect to these opinions as we both represent Sage Software as Business Partners. Therefore use the below feedback in combination with your own research to draw the appropriate conclusion that is right for your company situation. We recommend consulting with a competent business advisor prior to making any decisions on accounting software purchase or implementation. I thought his insights were interesting because I’d received several reports that Microsoft is sponsoring “independent” web seminar that claim to give information on what to do when you outgrow MAS 90 or MAS 200. I attended a webcast today called “How to Know Your Customers Have Outgrown MAS 90/200 and What to Do About It” presented by The CPA Technology Advisor. I didn’t see anything in this presentation to suggest that Microsoft GP offers any more than MAS 90 / 200 in terms of functionality, reporting, or technology unless your IT department will accept Microsoft and only Microsoft, or if your system needs to scale to hundreds of users. * Your users have more technology sophistication than the software can deliver. * Specifically identifiable functionality does not exist in your system. This gap should be verified inside and outside your organization. The cost of the gap should be measurable. The webcast’s main presenter was Darren Root of Root & Associates, LLC. He was accompanied by Randy Johnston of K2 Enterprises. The premise of the presentation (which qualified for CPE credit) was that the venerable Sage MAS 90/MAS 200 product lines may have fallen behind Microsoft GP in areas of Functionality, Reporting and BI, Scalability, Limited Ability to Integrate, Low Employee Productivity, and Outdated Technology Due to Limited Research and Development. I did not record the webcast, but I do not recall any mention of ‘Low Employee Productivity’ beyond its appearance in an early slide. Interestingly, for most of the general examples of software capabilities Mr. Root described the Sage and Microsoft offerings as being comparable. The webcast offered almost not one specific functional shortfall of MAS 90/MAS 200. And one technology-specific deficiency – the lack of a MAS 90/200 SQL version – was refuted by the presenter himself who acknowledged the forthcoming release (presumed with version 4.40). Nearly 50% of the audience responded as having zero MAS customers (the webcast was geared toward CPAs with MAS customers), so the audience was perfect for Microsoft to have a webcast dismissing MAS 90/200 without objection. I note that despite being billed as an educational event there was no Q&A before, during or after the event in spite of the presence of a ‘Type Questions for Moderator’ box during the entire hour long event. The event offered early access to a white paper at http://www.accountingsoftwareworld.com/whitepaperGP.pdf but my attempts to obtain the whitepaper bombed out Adobe, Internet Explorer and Google Chrome. While extolling the power of SQL server technology as one of the identifiable differentiators between MAS 90/ 200 and Microsoft GP, Mr. Root did not mention the perhaps the best path that Sage users could take – to Sage MAS 500. This is especially notable considering Mr. Root’s 5 star (out of 5 possible) review of Sage MAS 500 in the December 2007 article in none other than the CPA Technology Advisor. You can find that review here. No one is buying systems just to have the technology. Companies are making changes to support strategic initiatives within their organizations. Sage MAS 90 / 200 users who have identified new system needs SHOULD consider what Microsoft has to offer, but don’t overlook what your Sage partner may be able to do to enhance your MAS 90 / 200 solution, or migrate you to MAS 500. The above post is courtesy Paul Ziliak President, Chicago Office of MicroAccounting Solutions. Paul is responsible for the Chicago operations. A CPA, Paul has been helping Chicago companies maximize their MAS 90, MAS 200 and MAS 500 systems since 1992. Paul spent a number of years directing the IT consulting practice for BDO Seidman, LP.Paul’s firm represents the Sage product line. Reprinted here by permission of the author. Corrections, clarifications or any additional information should be left in the comments section.